The physical remains, excavated and not excavated, were threatened by natural forces combined with human forces (‘urban pressure’ and neglect), resulting in erosion, collapse, garbage pits and other changes. The interpretation of the site and the excavated remains was largely based on biblical narratives, especially for touristic and popular audiences, neglecting the intrinsic cultural values of the different periods represented in the tell. The Tell Balata Archaeological Park project (2010-2014) aimed at (physical) preventive conservation, assessment of previous excavations and subsequent changes, and reinterpretation by a change of focus and paradigm). It also concerned presentation to the local and foreign public, including ways to promote new tourism and local community involvement. This project was designed and implemented by a joint Palestinian-Dutch team in cooperation with UNESCO, at the Palestinian ministry of the Tourism and Antiquities, with close involvement of the local people, and funded by the Dutch Government. The aspect of community involvement was the focus of a follow-up project (till 2018), also jointly Palestine and The Netherlands (Leiden), part of the European cooperation project NEARCH, led by Leiden, especially Monique van den Dries. In the terrible war that has ravaged Syria, archaeology found itself playing a role that it had never had, and for which it was not prepared. The systematic devastation of the archaeological heritage by the so-called Islamic state, and the ferocity meted out to the people and institutions that were defending this patrimony, have had a strong impact on our psyche. But even more, as is obvious, on that of the Syrians who have been severely hit by this war. If the extremists could explicitly aim at bringing down the value of archaeology, we must ask: how could archaeologists, by contrast, bring out this value in the awareness of the local stakeholders? During the very last seven years of the war, our project has developed such a program in a unique way, and has generated a response that is nothing short of extraordinary. 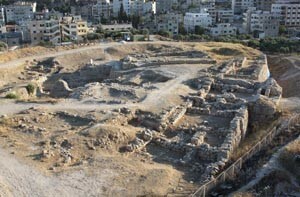 A site that was one of the first cities in history, with a population that disappeared altogether about three thousand years ago, and that had remained completely hidden in the soil matrix until excavations began to bring it back to light – how is it possible that just this site could have become a strong symbol capable of uniting communities that are quite different from each other? 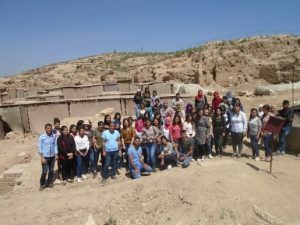 Presenting the specific case of this ancient city, Urkesh, and the commitment of archaeologists to make the presence of the local populations alive today, means going beyond the episodic interest of a particular case, however interesting it may be. In fact, it serves to highlight a dimension that will have to play a much greater role than has been the case so far in our confrontation with the great theater of the Near East. It serves to show how we should really pay more attention to ideal values, how culture, and archaeology in particular, can be a driving force in building a strong and lasting sense of identity even where the social fabric may show inescapable elements of heterogeneity.